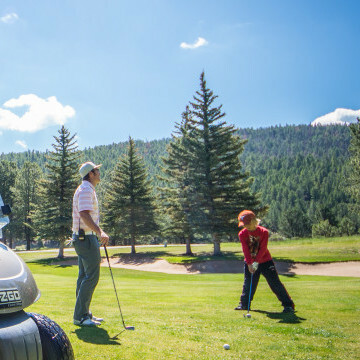 Come tee off at 8,500′ on our par 72, 6,653 yard, 18-hole golf course surrounded by the majestic southern Rocky Mountains in Angel Fire, New Mexico. The front nine incorporates a longer-playing layout that meanders through two unspoiled canyons of aspen, spruce, and pine, while the back nine offers links-style play with smaller greens and plenty of bunkers. The signature hole, #6, places the golfer on the tee box 200 vertical feet above the green, 239 yards away, surrounded by groves of aspen trees and towering pine. To book a tee time online click a button below or call 575-377-4488. To preview the course check out the golf course map and scorecard. Angel Fire Resort is pleased to bring our guests & members their favorite logo-wear items right to their personal devices! Browse all the apparel you’d find in the Pro Shop, as well as exclusive items, on our new Online Webstore. Course hours vary by season and available daylight. Please call the Golf Shop. Please check in at least 15 minutes prior to tee time. If there is any change in tee time status such as cancellation or number of golfers, please call the Golf Shop. Pace of play: golfers must maintain their position relative to the group in front of them. Early groups should play in 4 hours to 4 hours and 15 minutes; later starts should play in no more than 4.5 hours (15 minutes per hole). Golf attire is required on the course and in the practice areas. Collared shirts are required for men. Denim is permitted. No gym shorts or halter tops. Dress code applies to children over 12. If in doubt, please call the Golf Shop. Softspikes or tennis shoes are acceptable. No metal spikes allowed. 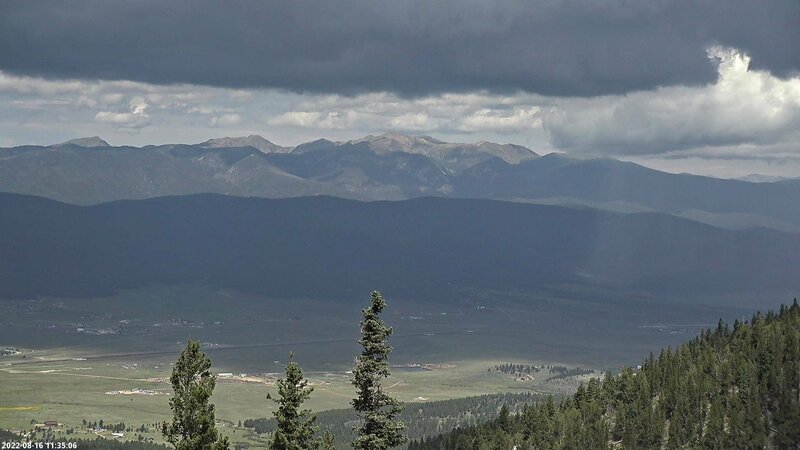 Mountain weather is changeable so bring a sweater, wind shirt or rain jacket for those afternoon showers. At this altitude it is necessary to drink plenty of water. Angel Fire Resort Golf Course and Country Club does not offer guaranteed protection against lightning and dangerous weather. Our staff will attempt to notify golfers when dangerous weather is approaching, but the ultimate decision to continue or resume play will be left to the golfer’s discretion. Golfing under such conditions is not recommended, but players may do so at their own risk. Shipping for Your Clubs – Travel light and easy by shipping your clubs prior to your arrival by using Ship Sticks.